Tax Incremental Financing (TIF) is an increasingly popular economic development tool used by local governments. However, TIFs have tremendous impact on school districts, so it is essential that school boards know their rights and options when facing a proposed TIF. Tax Incremental Financing (TIF) is a tool for economic development used to stimulate private investment and development in targeted areas. Through a TIF, communities capture the increase in tax revenue generated by the private development. The community then uses the excess tax revenue to pay back the private investors who paid for the public improvements required to make the new private development a success. For additional information about TIFs in general, see “Tax Increment Financing (TIF), An Overview” under the Public Finance topic heading (click here). II. What impact do TIFs have on public school systems? The exemptions resulting from TIFs limit the amount of funds available to school districts. Fortunately, school boards have the right in certain circumstances to participate in the evaluation and adoption of a TIF program. 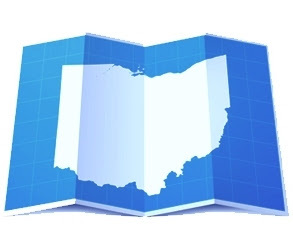 Under Ohio law, a local government must notify the affected school board and, in some cases, obtain the board’s approval prior to enacting legislation authorizing a TIF. Therefore, it is essential that school boards are aware, not only of the requirements and procedures for adopting a TIF, but also of the rights and options school boards have when evaluating whether to consent to a proposed TIF. III. What obligations do local governments have to school systems? A local government must provide notice of the proposed TIF to the affected school board, unless the board has previously waived the right to receive notice. Notice must include a copy of the TIF instrument and must be delivered no later than 14 days prior to the proposed adoption date. Local governments are required to consider any comments provided by a school board and to meet, upon request, with the board to discuss the proposed TIF. IV. What can a local government do without school board consent? A local government can, without a school board’s consent, authorize a TIF that exempts from real property taxes the value of the improvements not in excess of 75% for a term not to exceed 10 years. V. When can a local government act only with school board consent? A school district must approve any exemptions above 75%, to a maximum of 100%, and any extension beyond 10 years, up to a maximum of 30 years. In such case, the local government must provide notice no later than 45 days before the proposed date for TIF authorization. A school board will lose the right of consent if the board does not reply by 14 days prior to the proposed adoption date. VI. What are the options when a proposed TIF requires school board consent? A school board has three options in response to a proposed TIF that requires consent. The board can (1) approve the proposed TIF; (2) reject the proposed TIF, in whole or in part; or (3) negotiate an agreement, which will provide for compensation to the school district equal to a certain percentage of the amount of taxes exempted. These payments in lieu of taxes are commonly referred to as PILOTs. The school board opens negotiations by proposing a percentage. If the board either initially rejects the TIF or the parties fail to reach an agreement, the local government cannot authorize the TIF for more than 75% up to 10 years. VII. What else should a school board be thinking about? The theoretical argument in support of TIFs is that school districts will ultimately receive additional funding that would not be available without the development; but this argument only holds true when the development would occur only with TIF approval, and increasingly TIFs are being used in development that would occur even without the TIF. PILOTs allow schools to immediately recover at least some of the lost funds; but schools are required to declare PILOTs as compensation, which will count toward the total funding that the school receives from the state. School funding generally shifts from the local level to reliance on the state, and school districts under TIFs often report inadequate returns from the state. TIFs should spur new development, but the reality is that TIFs are often used to make improvements that merely impact the quality of life of current residents. TIFs apply to both commercial and residential development, and with residential development the school system may face a dramatic increase in the number of students. School districts and local governments are often not defined by the same geographic boundaries, which mean that schools often lose money to TIFs even though school district residents have no voice in the local government proposing the TIF. School boards can negotiate the scope or targets of proposed TIFs. Some school districts have negotiated agreements where the TIF program includes financing from the local government for the construction of school facilities. The procedures and choices for dealing with a proposed TIF are complex, but with assistance from the right legal professionals, school boards can make informed decisions that protect the best interest of the school district, the students and the entire community.